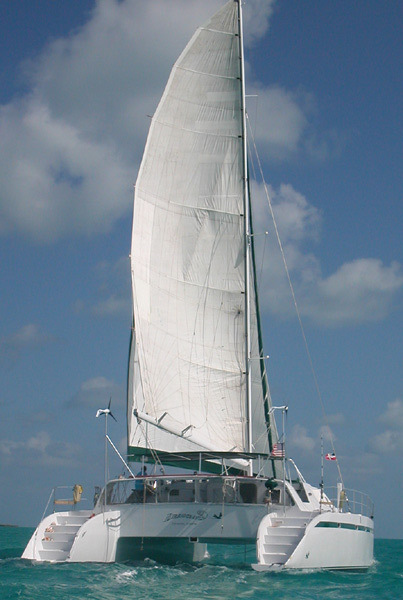 Sea Mercy is proud to announce that Dragonfly a 65 foot sailing catamaran owned by Al & Jill Wigginton, will be Sea Mercy's 2014 Floating Health Care Clinic (FHCC) flagship for Sea Mercy and our island nation partners. Al, Jill and their beautiful vessel Dragonfly are the perfect match for remote island citizens. 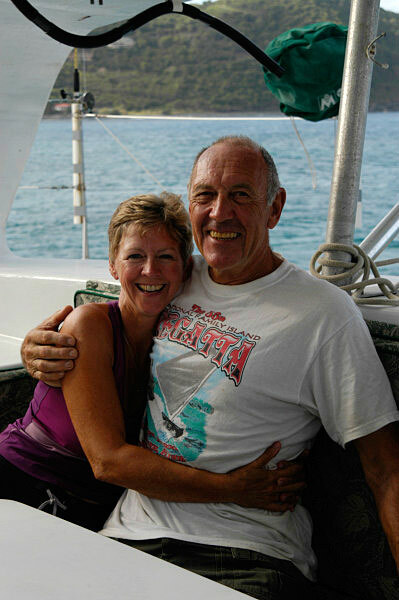 Al and Jill bring over 14 years of charter experience navigating the waters of the Caribbean, over 70,000 sailing miles experience, a 100 ton Captain license, caring hearts and wonderful and charming personalities. You can learn more about Al and Jill in a recent article interview called 20 Questions for Dragonfly. 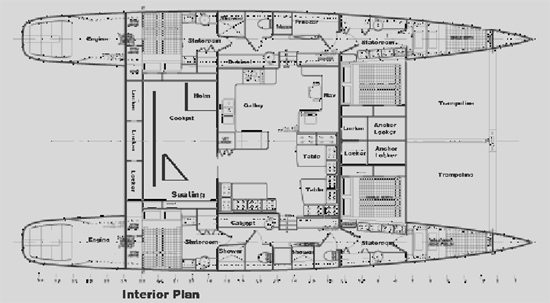 Dragonfly is fast, but was also built as a workhorse that delivers a shallow draft that will allow us to access almost any remote lagoon or harbor, ample deck space for a patient care platform, and a perfect interior design for our health care volunteers to comfortably work and live on. With room to comfortably carry 6-8 additional health care volunteers, local interns, and international aid workers, Dragonfly is the perfect service delivery platform for all of our programs and initiatives and provides the flexibility to deliver the much needed care and supplies to the remote islands. Visit the Dragonfly Gallery to see and learn more about her. Autopilot remote control and display in captains qtrs.